The following is an excerpt from Modern Guitar Rigs: The Tone Fanatic's Guide to Integrating Amps & Effects, second edition, by Scott Kahn, published by Hal Leonard Performing Arts Publishing Group. Re-printed with permission. The book provides an in-depth look at all aspects of designing professional guitar rigs, whether you simply need to switch between a pair of amps or you need to build a big rig with racks of effects, audio loopers and MIDI foot controllers, modeling amps, and more. The topic of piezo pickups in your electric guitar is just one small component in the story of building pro rigs, but an essential one that is super easy for any guitarist to incorporate into their rig. Back in the ’70s and ’80s, having an acoustic guitar in your rig posed a special challenge: dealing with the transition from acoustic to electric guitar. For years, players used a special instrument stand to hold their acoustic guitar. The idea was that the player wore his electric guitar, but stood behind the acoustic guitar stand and reached up to play the immobilized instrument during acoustic passages. When the time was right, the player would just switch to playing his electric guitar. These days, it’s very common to get an electric guitar with a piezo acoustic element installed under the string saddles, and this combination of magnetic and piezo pickups opens up a whole new world of musical opportunities. Piezo-equipped guitars have either dual mono output jacks or a stereo jack, and a pickup selector switch on the guitar lets the player choose between magnetic tone only (your traditional electric guitar tone), piezo acoustic tone only, or both sounds at the same time. Typically, the magnetic pickup output from your guitar runs to your guitar rig and the piezo acoustic output runs to the PA system or a dedicated acoustic guitar amp. Layering an acoustic guitar part on top of your heavy electric guitar tone brings a classic studio recording technique to your live performance, and you don’t have to play in a Led Zeppelin tribute band to appreciate this sound. The other obvious advantage of the acoustic-in-my-electric tone is the ability to instantly switch from acoustic song sections to heavy sections. The sound of a piezo-equipped electric guitar can easily convince music listeners that they are hearing a true acoustic guitar, and there is no contest between piezo acoustic tone and the best clean tone from a traditional solidbody guitar’s magnetic pickup. Once you play a guitar with the acoustic (piezo) output running through a clean amp or PA while you jam on your electric tone, it’s hard to go back to a guitar without this fantastic option. I can’t stress enough the need for a true acoustic guitar amp or a channel in your P.A. system for your piezo acoustic tone. It just won’t sound authentic if you play it through your tube amp on a clean channel. The piezo output needs to be routed to a full-range speaker system like your P.A. system for you to really hear and appreciate the difference in sound. On some guitars, the piezo acoustic sound straight out of the instrument is a bit lacking. It sounds “just ok” until you hear what a difference the right processing can make, and it’s this processing that transforms the sound of some piezo-equipped guitars into something that really sounds like an acoustic guitar. Products made for enhancing the sound of amplified acoustic guitars work incredibly well on piezo-equipped electric guitars. Once you get your hands on one of these guitars, be sure to place one of the following items in between the guitar and the PA system to really take your acoustic tone to the next level. Plug into one of these DIs and your piezo tone will be transformed even before you start tweaking the fine parametric EQs. Both units have an effects loop, too, so you can add some dedicated effects to your acoustic tone. The Venue DI takes things further by incorporating a tuner and a volume boost, footswitch controllable, but the extra features sacrifice the Para DI’s ability to be powered from your PA system’s phantom power. 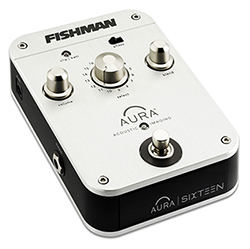 The Fishman Aura DIs were created to apply acoustic guitar modeling to acoustic guitars with built-in pickups in order to restore the natural sound of those guitars mic'd up in a recording studio. If you’re playing a sprucetopped dreadnaught acoustic with a rosewood back, select the image of a similar model guitar, and then the Aura mixes that modeling with your acoustic’s onboard electronics to create a much better acoustic tone. Imagine the surprise of the engineers at Fishman when players like Alex Lifeson and John Petrucci started using these products with their piezo equipped solid body electric guitars! The Aura 16 is all you really need if you plan to experiment with your electric guitar. 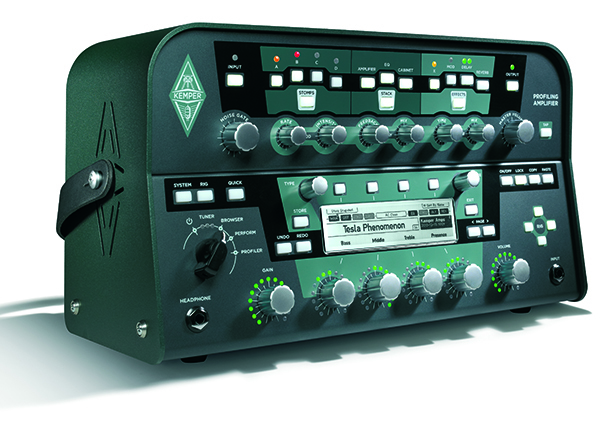 The Spectrum DI adds memory for additional acoustic models, an onboard tuner, and a compressor. In both cases, new images can be downloaded from the Fishman website and loaded into the pedals via a USB interface. I Love Radial. They are the Swiss Army of studio and rig infrastructure products, and if there’s something you need to accomplish but can’t find a product that does it, odds are good that they make a product to meet your needs. The PZ-Select is one such fantastic item: a piezo and magnetic pickup selector and direct box built into one! If you find it difficult to switch between the magnetic and piezo acoustic output of your guitar quickly because the switch is buried in the cluster of knobs and switches on your guitar, then the PZ-Select is an answer to your prayers. It enables you to switch the outputs on your guitar instantly via a footswitch! 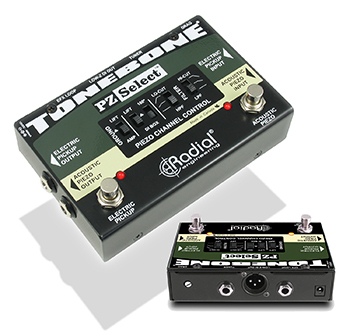 To use the PZ-Select, you connect either a stereo/TRS cable or a pair of mono instrument cables from your guitar into the PZ-Select and then cables run out of the ToneBone device into both your guitar amp and your acoustic amp or P.A. system. There are numerous controls that enable you to dial in pickup resistance, a hi-cut filter, and more. But keep in mind that with this setup, your piezo output will be active all of the time, so you’ll burn through more 9V batteries. If you’re shopping for a piezo-equipped solid body electric guitar, there are numerous brands to consider. 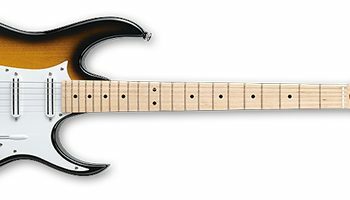 Two of the most popular manufacturers include Parker Guitars and Music Man Guitars. The Parker Fly was one of the first iconic electric guitars to catapult this option to popularity, and almost every guitar in the Parker product line features piezo acoustic output in addition to the magnetic pickups. 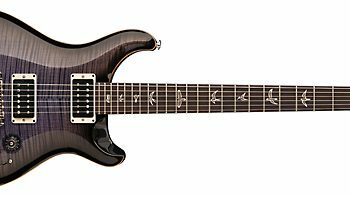 While Parker guitars are amazing instruments, the Music Man John Petrucci signature models top all guitars on the market for the logic of their piezo implementation. On many guitars—including most Parker Fly models, the switch for magnetic/piezo/both pickup selection is located within the cluster of knobs and pickup selectors for the electric guitar controls. 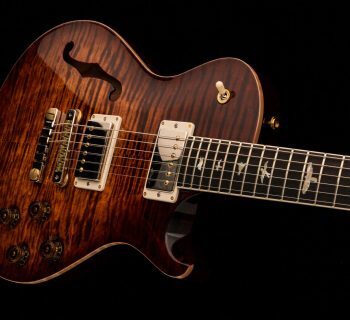 But on the Petrucci guitars, the selection control is placed by itself on the upper horn of the guitar, making it easy to hit for instant switching from acoustic to electric tones. Many piezo-equipped electric guitars feature a stereo output jack, and from there you run a stereo cable to a breakout box, or you get a special cable wired for stereo at one end and dual mono cables at the other end. With the Petrucci guitars, there are dual mono jacks on the guitar for two cables (or connecting two wireless transmitters). But if you prefer, you can connect a stereo cable to the first jack and run that as described above. If you’re a fan of guitars with more heft than Parker Fly and Music Man Petrucci guitars, the Gibson Les Paul Alex Lifeson is one you’ll want to check out. Also consider Brian Moore Guitars, custom guitar options from Carvin, and other Music Man models with piezo options. The Graph Tech Guitar Systems ghost Pickup System relies upon new string saddles that include piezo acoustic elements. If your guitar has a Strat- or Tele-style bridge, a Floyd Rose Original or Licensed bridge, or a Wilkinson tremolo (among others), there’s a great chance that Graph Tech has parts available to retrofit your guitar. Or, you can purchase completely assembled bridge replacements. In addition to adding acoustic guitar tones to your solid body electric, the ghost system can optionally add a fast-tracking MIDI interface to your guitar that is fully compatible with Roland’s standard 13-pin system and subsequently every guitar synth on the market. Need to know more about building professional guitar rigs? Pick up a copy of Scott Kahn's book, Modern Guitar Rigs: The Tone Fanatic's Guide to Integrating Amps & Effects, second edition!